Last week, we lost one of America’s greatest teachers, servants, and friends. 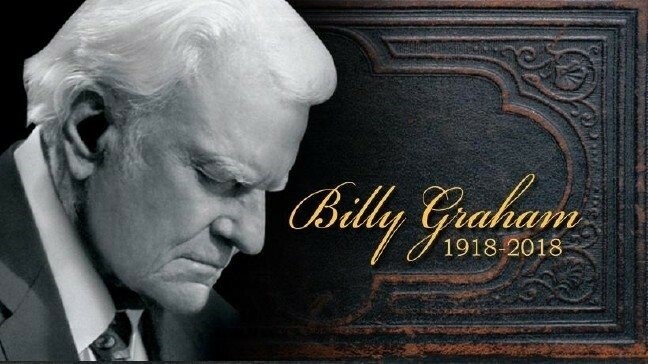 Reverend Billy Graham passed away at the age of 99. Billy Graham is now seeing our Savior face to face—the same Savior that he introduced so many to over the years. And while he passed away from this earth at the age of 99, I can’t help but think of the biblical parable that meant so much to Reverend Graham in his life—the parable of the 99 sheep, and the one that was lost from the fold. Reverend Graham spent his life as an instrument of the Lord constantly in search of the lost sheep that needed a Savior. His message of Jesus’ saving grace and redemption ministered to millions. Now, he is in the presence of the Good Shepherd. 2 Timothy 4:7 says ‘I have fought the good fight, I have finished the race, I have kept the faith.’ Billy Graham embodied this verse. Praise the Lord for Reverend Graham’s life—a life truly well lived. He will be deeply missed. I wanted to give you all an update on my recent efforts involving gun safety and keeping our children secure in schools. As you know, in light of the recent school shooting in Florida, there has been much debate about the issue of gun control and whether we should tighten restrictions around guns. I want to be clear about my position on this: I am a strong supporter of the Second Amendment, and I believe taking the right to bear arms away from law-abiding Americans is absolutely not the answer. Not only would gun control run afoul of the Constitution, but the proposals I’ve heard would do very little to stop the risk of shootings. It’s not an option from my standpoint. Instead, what I believe we ought to focus on is coming together to take extra precautions to keep our schools secure and our children safe. The best and most effective path forward we can take, I believe, is one that safeguards our schools from becoming “soft targets,” or areas with little to stand in the way of someone with bad intentions. Over the past few weeks, I’ve been in close communication with our district’s sheriffs and law enforcement officers to see what we can do to make our schools safer. The conversations have been extremely productive and their help has been invaluable. 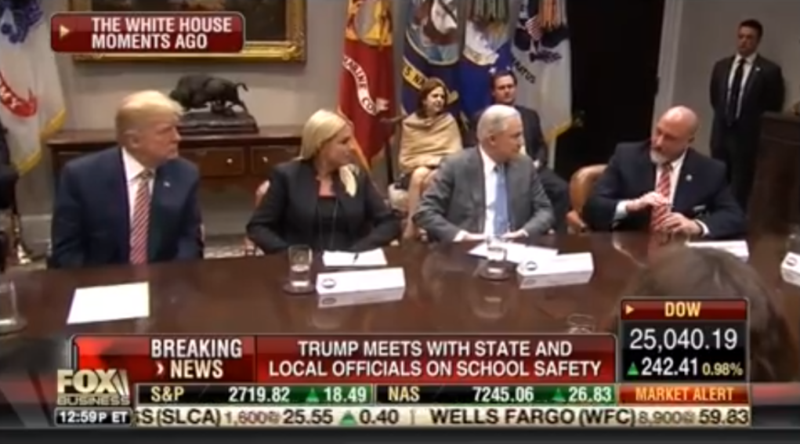 In fact, one of our sheriffs, Henderson County Sheriff Charles McDonald, was personally invited by President Trump to the White House to participate in a school safety roundtable, sharing ideas and giving input on how to keep schools secure. I encourage you to watch Sheriff McDonald’s comments here. In the coming days, my office will be releasing multiple pieces of legislation that will provide solutions on how to provide school districts more financial resources for security. Stay tuned as we release more information. I believe we can get this done. Gun control is not the answer, but making our children safer in school is. 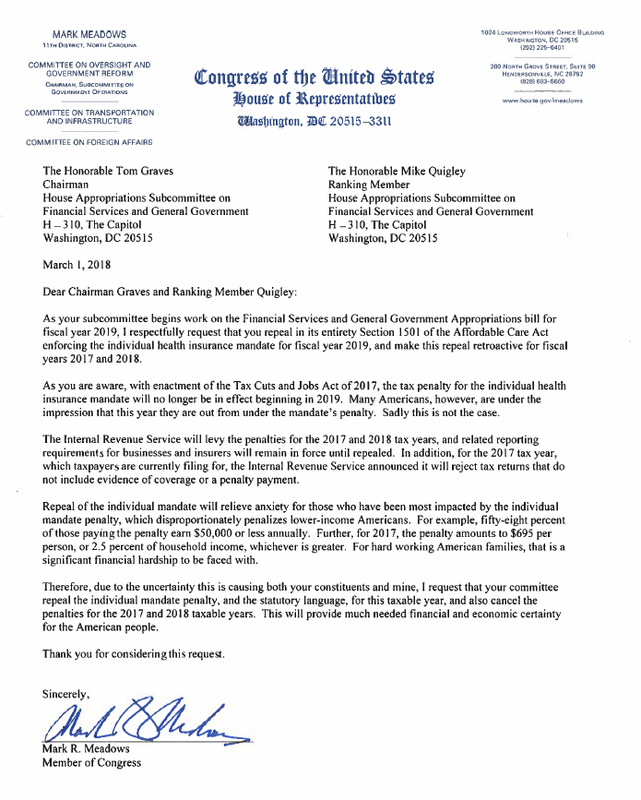 This week, I sent a letter to the Appropriations Committee, asking them to repeal Obamacare's individual mandate for fiscal years 2017 and 2018. The mandate is repealed permanently starting in 2019, but unfortunately, many Americans may be surprised to learn that it still applies for both 2017 and 2018 tax returns. The IRS has already announced their intention to reject tax returns that don’t abide by the health insurance mandate until 2019. Congress must resolve this. Americans shouldn't be forced to pay a penalty before 2019, either. The mandate is a penalty that forces Americans to buy something they may not want or need, and its consequences hit the pocket books of low income Americans the hardest. That’s why I introduced this letter—to enact a full repeal of the individual mandate for 2018, and retroactive to 2017, so that we can give American families relief from the mandate’s unnecessary burden. Hopefully, we can make it happen in the coming weeks. You can go to my website here to read the letter or for more information. 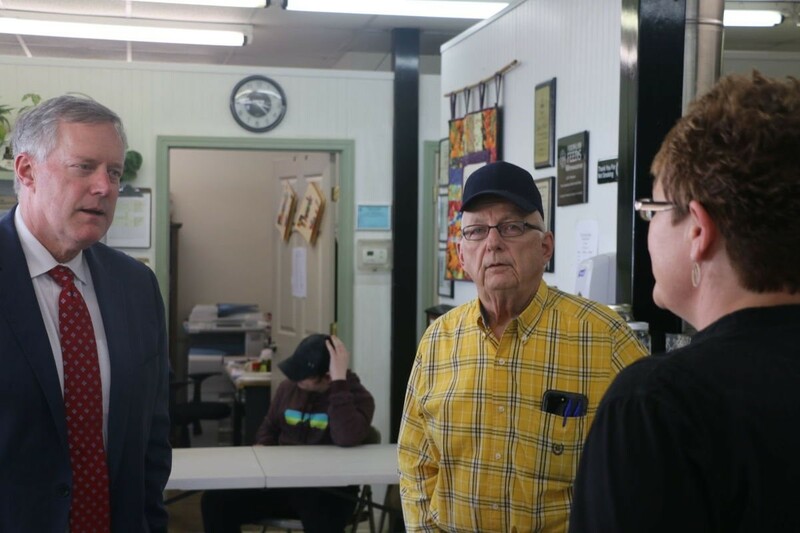 I was honored to visit Canton Community Kitchen--a grassroots ministry in Eastern Haywood County, NC. This is a church supported service ministry that started in 2006 with a group from Haywood County that wanted to serve evening meals for those in need--and now they serve well over 15,000 meals a year! They also hold bible studies every Wednesday after dinner, open to all. These folks are a blessing. This is what service looks like. Please take a moment to read more about them and their mission here. 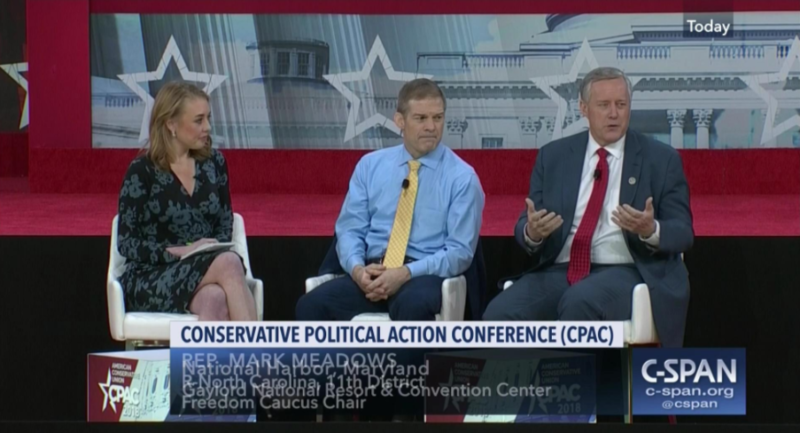 Last week, the American Conservative Union had their annual Conservative Political Action Conference (CPAC). 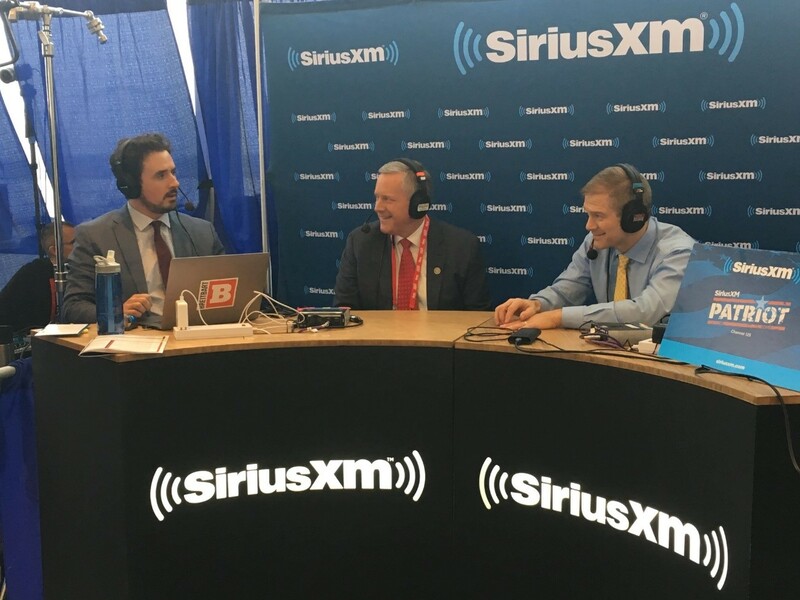 It was a pleasure to attend and participate in an interview with my good friend and former Freedom Caucus Chairman, Rep. Jim Jordan. You can watch our full interview with Sarah Westwood at the Washington Examiner here. 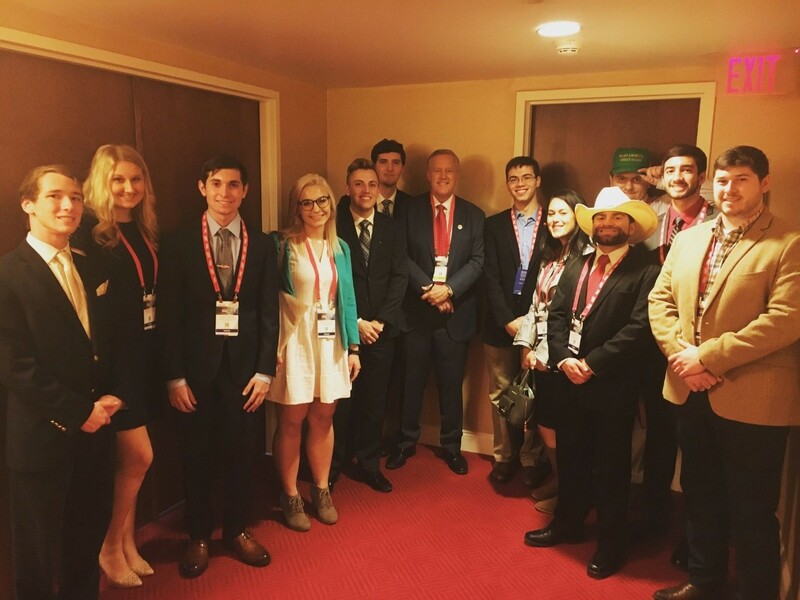 It is always so encouraging meeting like-minded conservatives from around the country committed to standing for limited government principles. 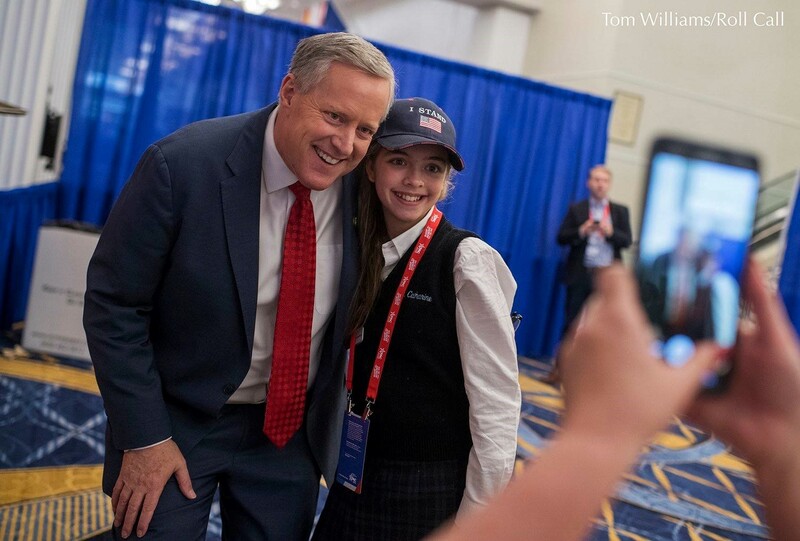 We even met some young students from our part of the country! Western Carolina University was well represented. Thanks to everyone who came out and made sure to say hello. Let there be no question: this is a time for action. 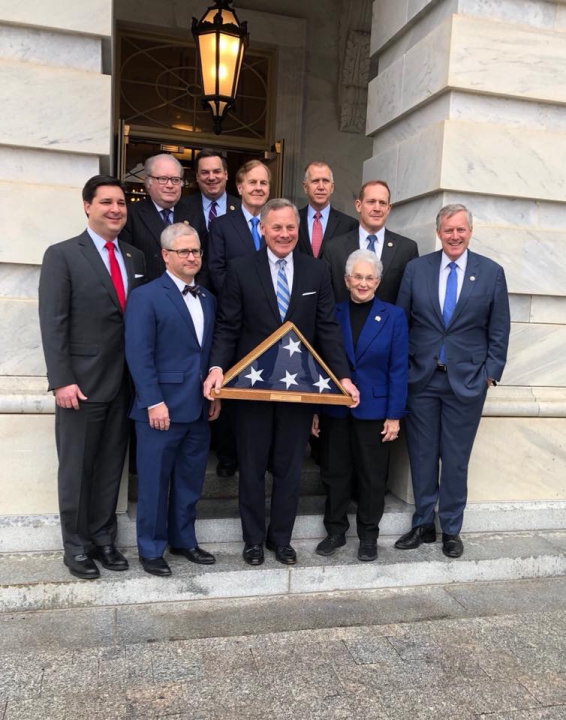 Conservatives have won several great victories this year but we in Congress MUST avoid complacency, stay engaged, and deliver. The American people demand it. Our country depends on it. I joined 12 of my colleagues and signed on to a letter fromCongressman Lee Zeldin (R-NY), asking for a second special counsel on the numerous questions surrounding the FISA Court, Russian dossier, etc. It's simple: we have evidence that the FBI took a salacious and unverified Russian dossier, written by a British spy and paid for by the Clinton campaign and DNC, and used it as a central piece of an application to the FISA Court for spying on the Trump campaign—and they did all of this without telling the FISA court that their information came from Democrats. In other words, the FBI used campaign research from Democrats to get a secret warrant from a secret court and didn’t disclose where they got their information. This demands to be looked into. Americans deserve the truth. It's time for a second special counsel. You can read more about the letter here. 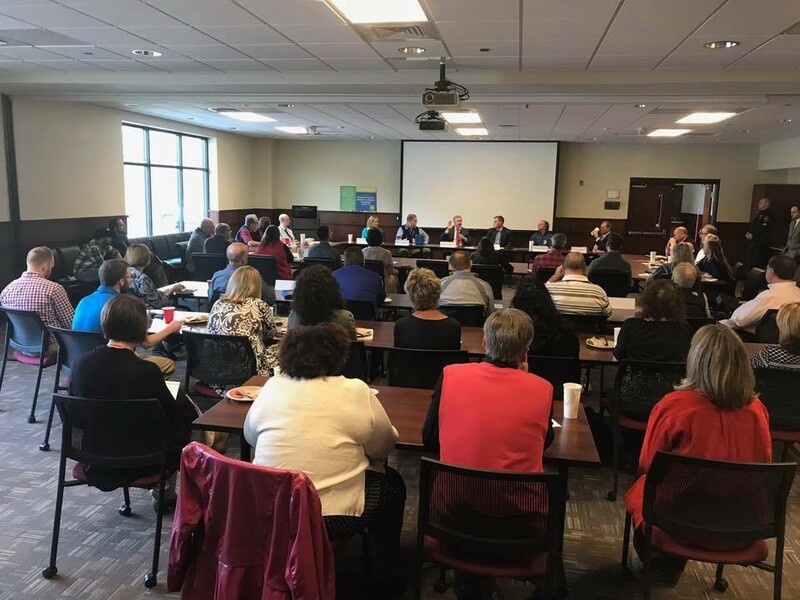 Recently I’ve been staying in touch with some of our local business leaders in Western NC to get a feel for how we can work out some fixes for the problems in our immigration system. Thanks to Bert Lemkes of Tri-Hishtil and Mark Williams of Agribusiness Henderson County for their help. This is a problem Congress can solve if we actually listen, take input, and have the willingness to put in the heavy lifting on policy changes. You can read about my visit to Tri-Histill here. I’m always amazed at the quality of Western North Carolina’s teachers and the preparedness of our students. They are truly outstanding. My most recent visit home was a perfect example. 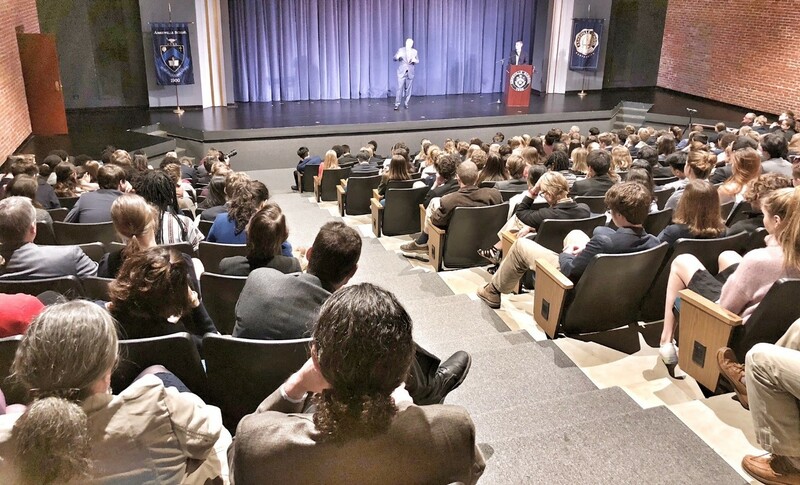 At Asheville School, the students hosted me to discuss the recent happenings in Congress, how the legislative body functions, and to take questions on some of the key issues we’ve seen in the news. We actually live-streamed the visit on my Facebook page, and you can watch the re-run here. 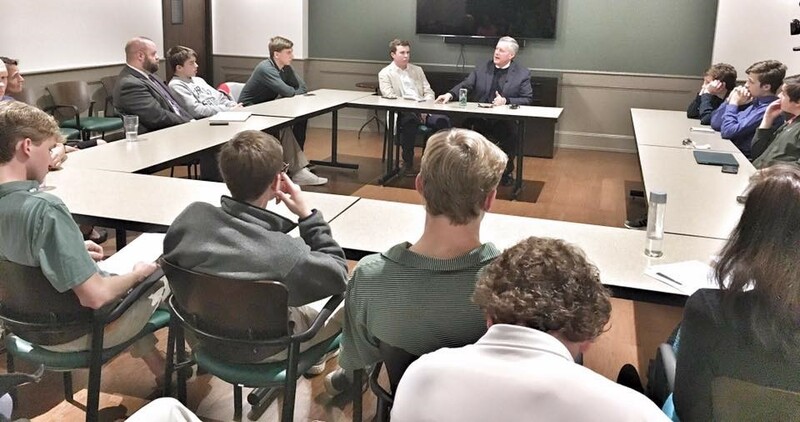 I also met with the Christ School Politics Club after classes, answering their questions on Congress and recent news of the week. You can read more about that visit here. 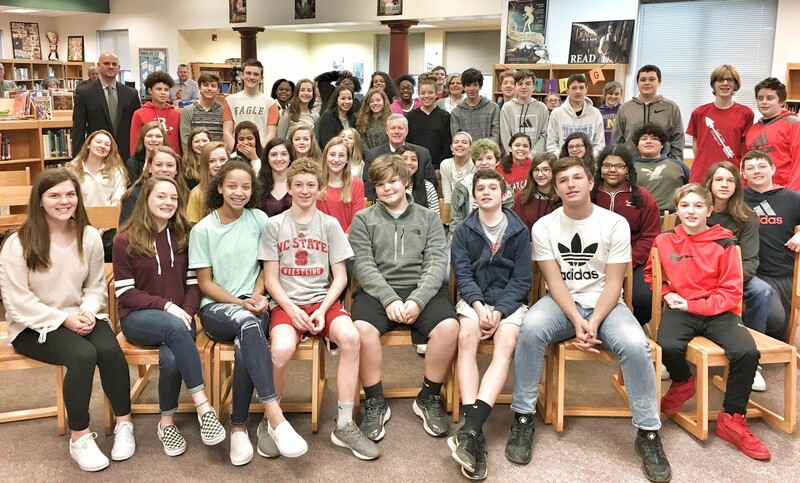 Finally, I went to Hendersonville Middle School and did a demonstration with their class on how a bill gets passed through Congress, with time for questions at the end. We also live-streamed this classroom visit on Facebook, so you can watch it here. Thanks, as always, to the fantastic educators and students for having me! It’s one of my favorite portions of every district week. Looking forward to next time. I recently had the chance to join the "Workforce Pipeline" meeting in McDowell County. This is a group of about 30+ community leaders that meets monthly to go over how the community can proactively develop solutions to provide opportunities for students and workers so the county can have a consistent, effective workforce. This is where the real ideas and solutions come from--they were tremendous. 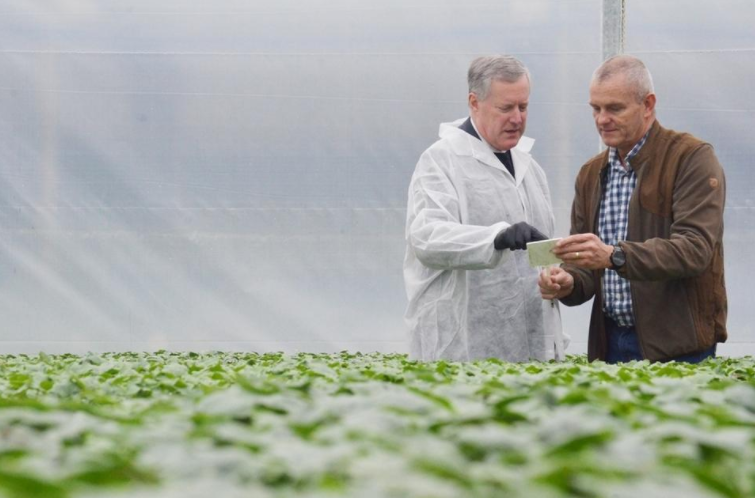 The group has actually earned several awards in the past because of their excellence in "innovative partnerships" and it's easy to see why. Many thanks to them for their invitation! 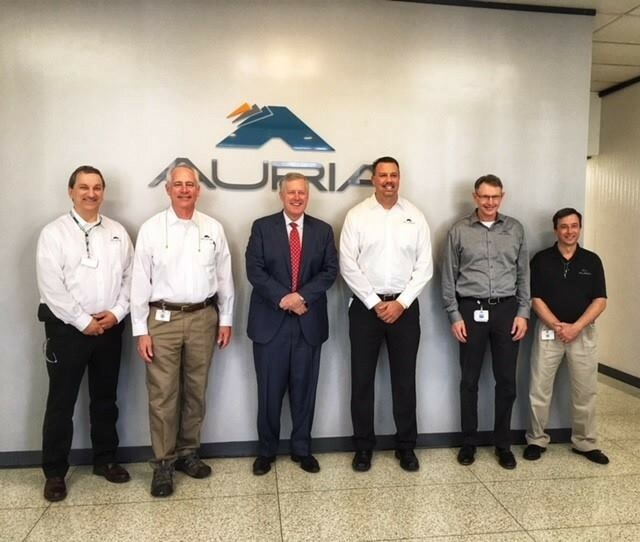 Western NC businesses continue to thrive--Auria Solutions in Old Fort, NC is a leading global supplier of automotive acoustical and textile solutions. 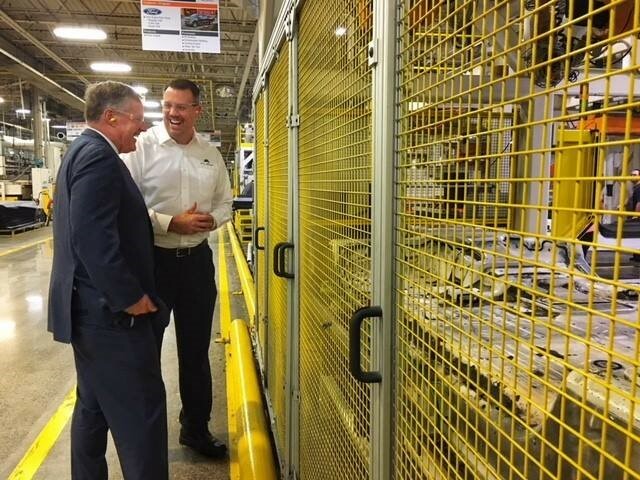 I appreciated seeing their operations firsthand! They have an outstanding team.